We were overwhelmed by the thought, creativity, and meaning put into the 220+ submissions we received for the #RUMoneySmart $1000 Visa Gift Card contest in January. It was really difficult to pick a winner, since many of you talked about the costs associated with being a student these days, whether it was supporting your family as you did night school, the cost of travel and equipment, research as a graduate student, or how to make your personal projects and philanthropic ventures flourish. Believe us when we say we wish we could award everyone with the cash to help you achieve your goals! In the end, we had to pick one winner with RBC, and we’re thrilled to announce that Andrew Sinka is one step closer to achieving his dream for 2016. Andrew is in his first year of mechanical engineering at Ryerson. This year, Andrew is starting the prototyping phase of an alternatively powered vehicle he co-designed with his brother. They’d like to revolutionize the way we travel, using alternately powered vehicles. 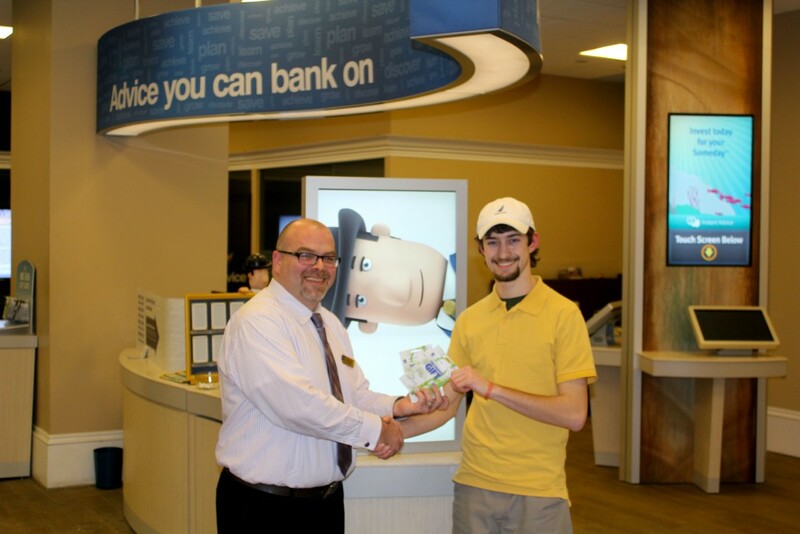 RU Student Life and RBC Canada are happy to support Andrew’s work with the $1000 Visa Gift Card. You can see Andrew’s contest entry below and when we asked him to clarify a little more. Congratulations, Andrew! We’re looking forward to seeing the successes of your project! As a first year Engineering student at Ryerson, I am excited to be in the Mechanical Engineering discipline and eager to put my knowledge to the test in the field. With $ 1,000 I would be able to begin the prototyping phase of an alternatively powered vehicle that I co-designed with my brother. The design has been growing with us for a few years now and we have been held back because of a void in resources. The $1000 would allow us to move forward in our design process to help revolutionize the way we travel, using alternately powered vehicles. Currently we are nearing the end of our design phase and looking to move into the prototyping phase. Our thinking for the first prototype is largely focused on getting a frame together to give us a place to start so to speak. We would be looking to use basic materials like wood, older bike parts and the like. The first thing the money would go towards is the wood for our basic Prototype, then after testing and working with that model, the money would help pay for metal for a firm frame, old/spare motor cycle parts (mainly suspension and tires), some kind of covering for the frame to give it body and items for the interior such as seats, and padding to make the human interaction more comfortable. This money would be giving us a longer term investment that would help us through the prototyping and testing phases. If you’re interested in what Andrew’s working on and want to reach out, or for inquiries and more information about the RU Money Smart contest, please reach out to bailey.parnell@ryerson.ca.